When you have a consultation with Henry Haddad, you will be treated with respect and understanding but most important, you will be given personalized attention. You are not just another case number as our purpose is to work on your file to get you the best results possible. Here, we have an open door policy, and you will get our full attention from the moment you come to our office. We have built lasting relationships with our clients because we care and we follow principles of trust and communication. Our dedication to client-focused service has resulted in over 35 years of successful legal practice. We are overjoyed when we see our clients get the results they want because it affirms that we are doing our job correctly. That is how our office operates and that is why we are successful. What Sets the Law Offices of Henry Haddad Apart? We have helped thousands of people obtain temporary visas, permanent residency status, and U.S. citizenship. Over 35 years of experience as an attorney. Legal counselor for the Egyptian Consultant. Knowledge, experience, and success to help you immigrate to America. Thousands of happy clients and families over the years. “It is an honor to be chosen by my clients to handle their legal matters. I do not take this representation lightly, and I do not take the title of attorney lightly. I believe my role as an attorney is to be the guardian of your rights, to guide you in the right direction, to set your case on a path towards your goals and steer you out of harm’s way. I believe in giving you direct, straight forward legal advice. I believe in handling your cases in a way that saves you time, money, and headaches. That is why clients continue to return to our office for us to handle all their legal problems. You must have confidence and trust with your attorney before you hire him or her. Does the attorney have experience in this field of practice? Do his recommendations make sense? Is he trying to complicate the case unnecessarily or is he being straightforward? What do you want from an attorney? What do you expect from the relationship? 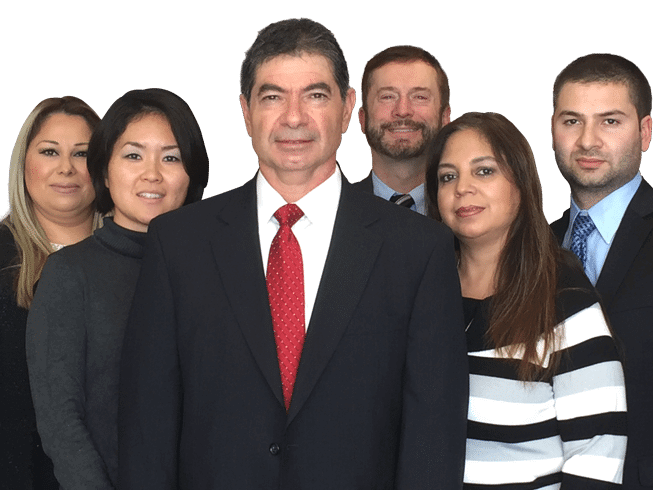 At the Law Offices of Henry Haddad, we have a focus on immigration law. We are passionate about helping our clients achieve their own personal American Dreams, with an approach to immigration law that is both unique and integrated. In addition to our focused area, we have extensive experience in handling all types of cases. We have a proven track record of success. In the past we have won multi-million dollar personal injury settlements, represented both individuals and large corporation in court, handled complex family law issues, helped clients get free from debt, and more. Let us be your guides and advocates through your case by reaching out to our Los Angeles attorney today. We have helped thousands of families and we can help yours too. Contact us at (213) 387-0099 to arrange for a free consultation today!